A nourishing and energising Shower Gel that refreshes and energises the skin. 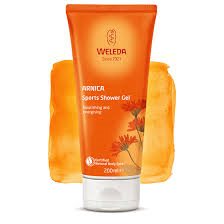 Weleda Arnica Sports Shower Gel is ideal for after exercising, or anytime you need a quick pick-me-up. 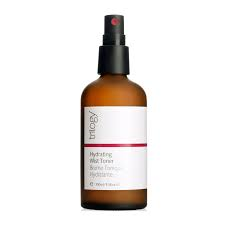 It preserves the skin’s natural moisture and delivers new energy with an uplifting scent of lavender and rosemary. With wild-crafted arnica flower extract and 81% organic ingredients, this shower gel reinvigorates body and mind while leaving skin feeling refreshed, clean and soft. 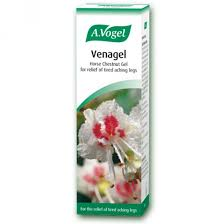 Apply a small amount to the body using hands, loofah or wash cloth and gently massage. Rinse thoroughly. 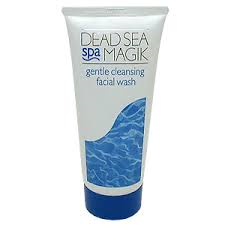 Aqua (Water), Disodium Cocoyl Glutamate, Coco-Glucoside, Glycerin, Parfum (Fragrance)*, Xanthan Gum, Sodium Cocoyl Glutamate, Arnica Montana Extract, Lactic Acid, Citric Acid, Tocopherol, Lecithin, Glyceryl Oleate, Hydrogenated Palm Glycerides Citrate, Ascorbyl Palmitate, Limonene*, Linalool*.